Temporalización: 3 sesiones distribuidas en 3 semanas; al ser un módulo de enseñanza a distancia los alumnos se distribuyen personalmente sus tiempo de aprendizaje. Session 1: Passport to London. 1.2 Now you put i tinto practice. 2º How to say it. Let´s review the imperative form. 2.1. How to form the imperative. 2.2 Now you put i tinto practice. 3º Words you need: At the airport. 3.1 Now you put i tinto practice. Session 2 Getting used to it. 1.2 Now you put it tinto practice. 2º How to say it. 2.1 How to make the Present Simple. 2.3 Now you put it tinto practice. 2.4 Pronunciation I. Voiced sounds. Session 3: A tour around the oficce. 1 How to say the Present Simple and Continuous. 1.1 Now you put i tinto practice. 1.3 Now you put i tinto practice. 2 Words you need: Parts of a company. Contextualización: Esta unidad está dirigida a estudiantes del Ciclo Superior de LAAC ( inglés técnico de laboratorio) . Pero el inglés técnico propuesto en la plataforma Moodle es muy general y no contempla el lenguaje específico de los técnicos de laboratorio, por eso hay que suplirlo con materiales AICLE y recursos que compensen esa carencia. Descripción: Es una unidad basada en un contexto real atractivo para los alumnos. Son dos chicas que van a hacer sus prácticas a Londres que deben superar situaciones nuevas. Esto anima a interesarse más en aprender una lengua y plantearse un proyecto de 2º curso para hacer las prácticas en el extranjero. Practicar y revisar las 4 destrezas lingüísticas: speaking, listening, reading and writing junto con el andamiaje necesario para usar correctamente el imperativo, presente simple y continuo. Ser capaz de presentarse y responder a preguntas personales, hacer una descripción física y rellenar formularios con datos personales. Repaso del imperativo , presente simple y continuo. Pronunciación de la 3º persona del presente simple. Vocabulario relacionado con el aeropuerto, empresas, aficiones, tiempo libre, datos personales, países y nacionalidades, formulas de presentación y saludos. Criterios de evaluación: La evaluación se realiza sobre 10 puntos. Los porcentajes criterios de evaluación son: Prueba presencial escrita 60%; Tareas 25%; Examen online 10%; Participación en el foro 5%. Cohesión y coherencia: 2,5 puntos. Adecuación (formato y registro): 2.5 puntos. Corrección lingüística y léxica: 2.5 puntos. Cohesión y fluidez: 2.5 puntos. Actividades comunicativas: Chats, cuestionarios, paquetes scorms; aprender vocabulario incrustado en el contexto mediante matching exercises, completar huecos, verdadero o falso, multiple choice, revisión de estructuras con links; quizzes, repasar con feedback. Grabar y escuchar su voz. Participar en el foro como vehículo comunicativo y cooperativo, planteando dudas y temas de debate. Mapa conceptual, nanogong, audio fórum, hotpotaoes. Actividades para profundizar e investigar vocabulario específico del Módulo de laboratorio. Elaborar un glosario entre todos los alumnos donde a través de un proceso colaborativo puedan confeccionar un glosario con los términos más relevantes de su aprendizaje en los distintos Módulos. (En los Ciclos Formativos las asignaturas se llaman Módulos). Fijar y aprender el lenguaje científico mediante andamiaje, estructuras gramaticales, verbos más usados adjetivos y tiempos verbales. 1. Actively use the opportunity to communicate in English, even if only partially. 2. Express your personal opinion. § Understand vocabulary related to the topic, written and oral text about cathedral or church and their importance in the cultural life. 4.Task 3. The history's cathedral. 5.Task 4. About history's cathedral. 6.Task 5. Parts of the Saint Paul's Cathedral. 7.Task 6. "Visit" Saint Paul's Cathedral. The student will read a document about the religion in Britain taking in account attention to new vocabulary and the different religions that appear in Britain. The teacher will give to his/her pupils a sheet with the last information to study and memorise to the final test. It will be worked in class. The teacher will project a Power Point about parts of the Saint Paul's cathedral. The students will appreciate a theorical part with their picture and location inside the cathedral. Then, the students will have a sheet with this theory to study. 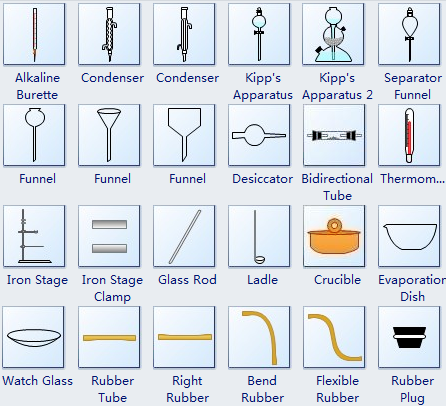 Also, they have to work in a worksheet the location of this parts and its use. 7. Task 6. 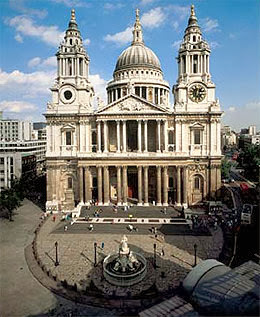 "Visit" Saint Paul's Cathedral. http://www.explore-stpauls.net/oct03/pano_pages.htm and the official page about this cathedral http://www.stpauls.co.uk to perceive the importance about this building. Inside the second page, they have to download a booklet in which the students will find more information about the cathedral. 8. Tasks7. Final Task. Plan your cultural visit to Saint Paul's Cathedral: Imagine that you are a cultural guide and you have to explain people what is Saint Paul's Cathedral. You have to tell people the history and the different parts. The activity consists in to do a writing taking in account: history, vocabulary and art. This activity will be worked in groups with 4 or 5 students in each group and it will be exposed in class in 15 minutes. - Autonomy and personal initiative. · Creative, active participation in all the activities. · Adequate choice and elaboration of texts. Unidad AICLE "HEALTH AND SPORTS"
Europe during the Middle Ages. Medieval life.